When the final buzzer sounded to end Game 6 of the 2015 NBA Finals, the Golden State Warriors had every reason to celebrate. The best team all year — with a 67-win regular season — had officially ended a championship drought that had plagued this franchise since 1975. Stephen Curry could now join the limited group of players who managed to win an NBA championship the same year they captured their first MVP award. Coach Steve Kerr was now the first rookie coach to take home a title since Pat Riley did it in 1982. Andre Iguodala became the first player in league history to win the Finals MVP award without starting a single game during the regular season. And despite this group’s lack of Finals experience, it still ended up taking care of business. Like it was supposed to. If you add all the pieces together — from chemistry to depth to health to offensive and defensive skill — the Golden State Warriors had everything going for them. They were superior in every facet of the game; well, every facet but one. In the end, Golden State didn’t have LeBron James. And because the Cavs did, they managed to stay in this series until the bitter end. In the end, of course, it wasn’t enough. For the Cleveland Cavaliers, this was now the franchise’s second loss in the NBA Finals in as many trips. For James, the outcome was far worse. By coming up short in this latest quest, the King now drops to 2-4 in Finals appearances. 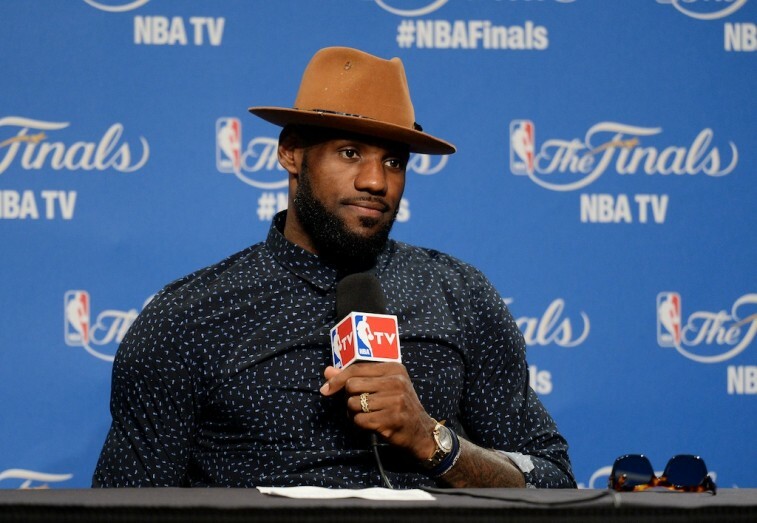 If ‘Bron was ever going to make a case for being amongst the best in the history of the game, having a losing record in the NBA Finals would not be a good place to start. At least that’s what the basketball purists would say. But we don’t see it that way. A loss is a loss, and nothing is going to change that. However, if you look at what James accomplished, and overcame, in these 2015 NBA Finals, you’d see that he didn’t hurt legacy at all. In fact, he very well may have enhanced it. 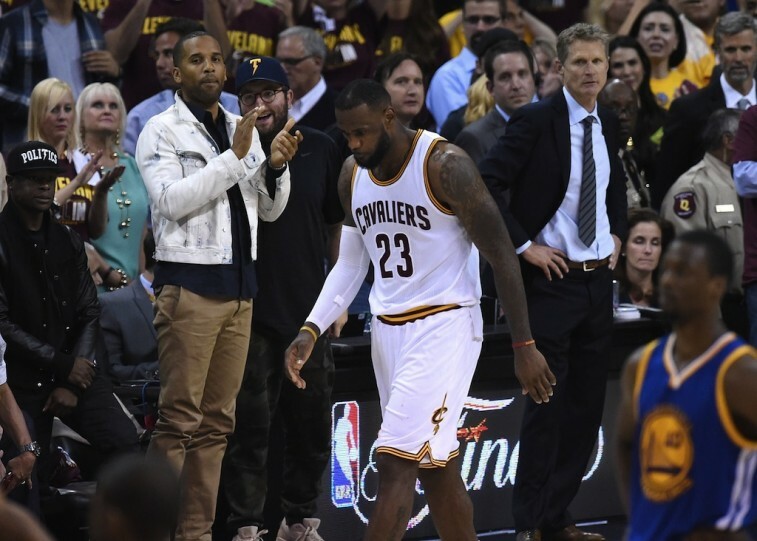 The four NBA Finals losses that James suffered throughout his career are nothing to take lightly. Out of the 11 players to win the regular-season MVP award and reach five or more Finals, the King is just the second player to find himself with a losing record (the other is Wilt Chamberlain). However, you can’t merely look at these losses as a check in the wrong column. But rather, you have to take into consideration the teams that James was matched up against prior to the series. If you look at the numbers, his inability to win on certain occasions doesn’t look so bad. According to ESPN Stats & Information, by pulling the Elo Ratings for each team to make the NBA Finals before the series began, and taking into account a team’s home-court advantage, it was able to project each team’s chances of winning prior to the Finals. What was discovered was that James’ teams had the lowest expected winning percentage — 37% — out of any of the other players on this list. If you consider that James still managed to win two titles with those odds stacked against him, the four losses don’t seem so terrible. And if we look at the 2015 Finals by itself, we’ll realize that James did was pretty much unprecedented. If you were to take James’s talent rating (6.6) and replace it with that of the league-average player (0.0), the Cavaliers’s talent rating would dwindle to -0.1. So what the King ended up doing was carrying one of the three-worst supporting casts in NBA history to within two games of a championship. Of course, what we forgot to mention was that FiveThirtyEight also determined that these Golden State Warriors finished the year with the second-highest peak Elo Rating (1822) in NBA history and third-highest Composite Elo Rating of all time (1796), making them one of the best basketball teams ever. And what James did against them remarkable. 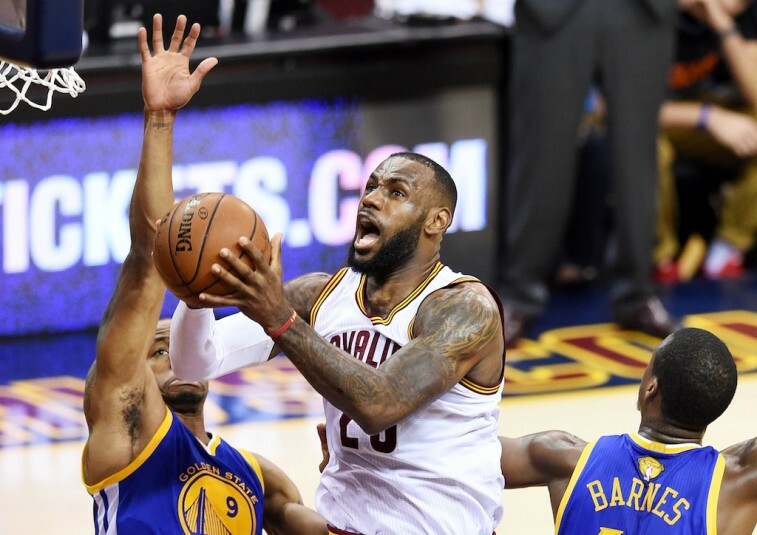 LeBron James finished the 2015 NBA Finals with averages of 35.8 points, 13.3 rebounds, and 8.8 assists per game. He played 45.7 minutes a contest and became the first player in Finals history to lead both teams in the above three categories. Without James on the floor, Cleveland’s field goal percentage dropped for 40% to 17%, and it’s offensive efficiency fell from 97.3 to 50.9. He was responsible for an average of 57.7 points per game on points he either scored or assisted on; which in turn, accounted for 62% of the Cavaliers’s points in the NBA Finals. The numbers speak for themselves. What James managed to do — against arguably one of the top teams in the history of the National Basketball Association — supersedes the final check in the loss column. That’s not to say that the loss doesn’t hurt all the same. Everyone who plays the sport dreams of winning a championship. And we can only imagine how it must feel to fall just short of that goal. But even in defeat, what the King did was transcendent. If he was able to somehow will the Cavaliers to victory, it would have gone down as — quite possibly — the greatest accomplishment in the history of sports. But he was just one man against an army of talent and the odds so clearly stacked against him. No one in James’s position could’ve done more. In the end, that’s what we should remember. All statistics are courtesy of Basketball-Reference.com, ESPN.go.com, ESPN Stats & Info, and FiveThirtyEight.